Planning on a library in your premises? 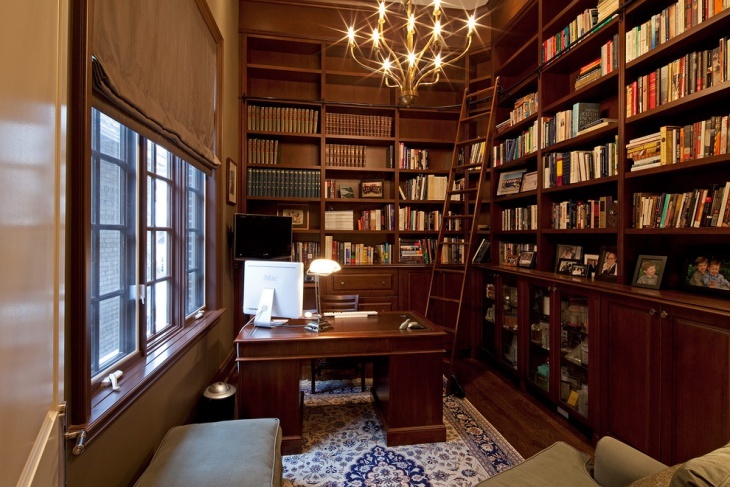 It takes more than a space and some books and desks to make it a productive space. The aim of a library interior design is to offer a simple, inexpensive, effective and highly convenient space to readers. You should be able to spend your entire day, cut away from the normal hubbub in the rest of your premises. 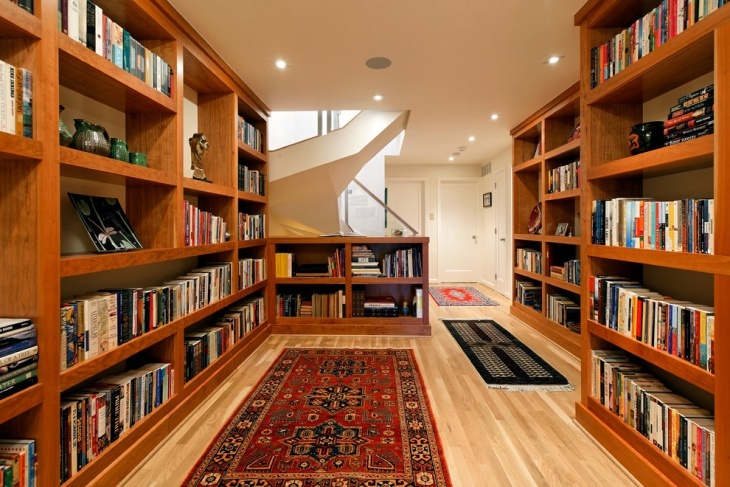 Here are some amazing library interior design ideas from across the globe that is worth checking. Libraries are meant to be both cozy and productive. Depending on the amount of space you have at your disposal, you can use lighting as a solution to create a dramatic ambience. As shown in this example, desks, chairs, and recliners form the main sitting / study area of the room. However, the books are arranged across the wall using movable staircase. This example shows a unique way you can turn the library into an ambient and rustic space. The use of earthly textures ensures that you can imbibe in the Mediterranean charm while you are at your favorite book. The single wall space creates enough room to accommodate a precious private collection. However, what highlights the space is the use of wooden décor in the furnishings. 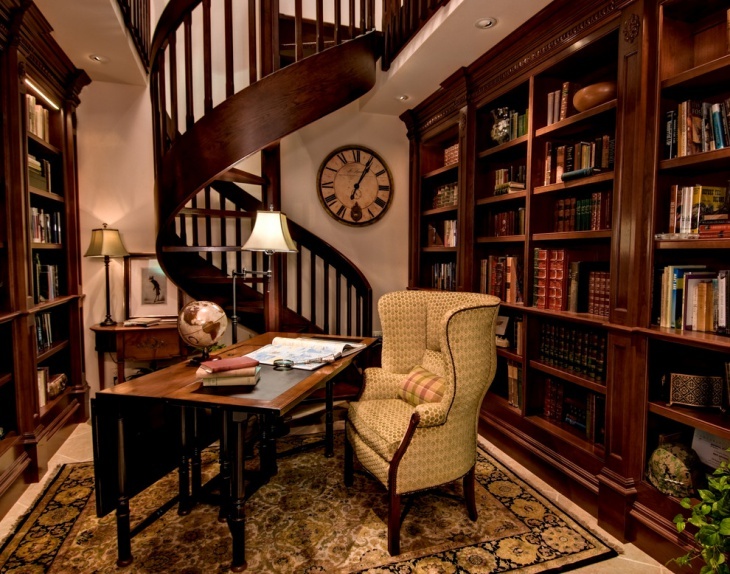 An incredibly well lit and comfortable looking library is the asset of any home. As shown beautifully, in this case, the owner has used wood paneling to his/her advantage to make space for all kinds of books. A stretched out seating ensures that you can get comfortable as you get engrossed into the volumes. 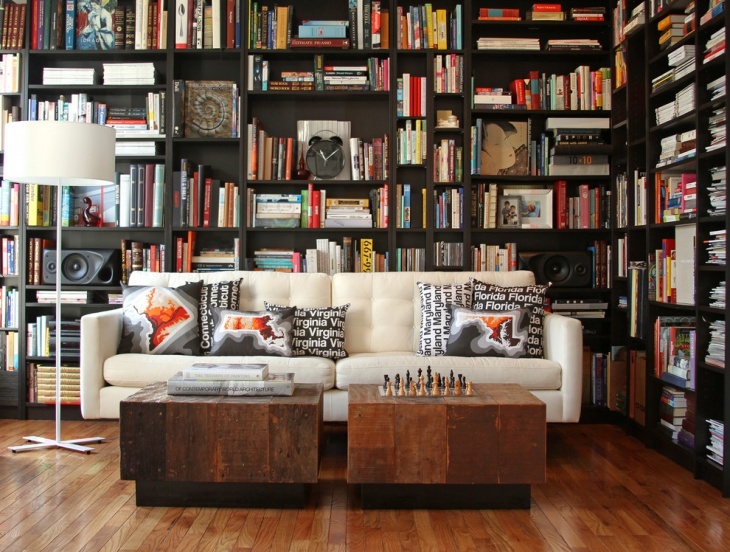 For people with small library space, the arrangement makes all the difference in defining the piousness of the space. 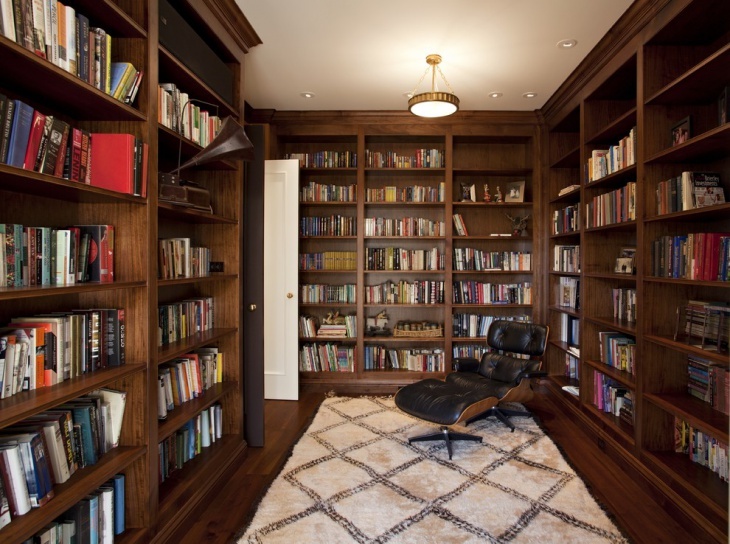 Here in this example, the owner has probably converted the small basement area into a library space. Nevertheless, it looks cozy and comfortable. This is how you can be best surrounded by books! This is a perfect example how a large living room can be separated into two parts – one common area and the other, a more silent space. 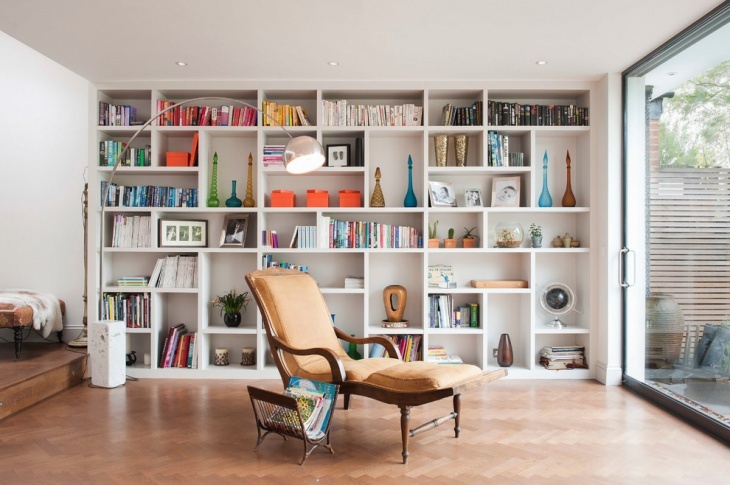 The book shelves mark the division and serve dual functionality of stacking and barricading. 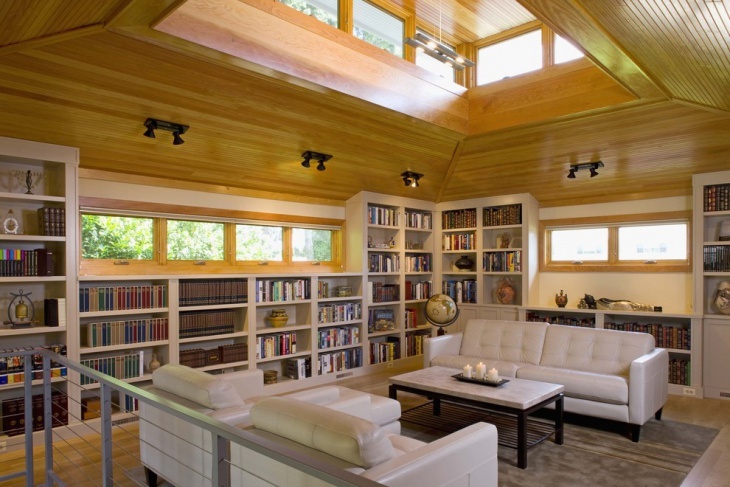 A few comfortable recliners and sofa chairs will make any book lover adore this setting. 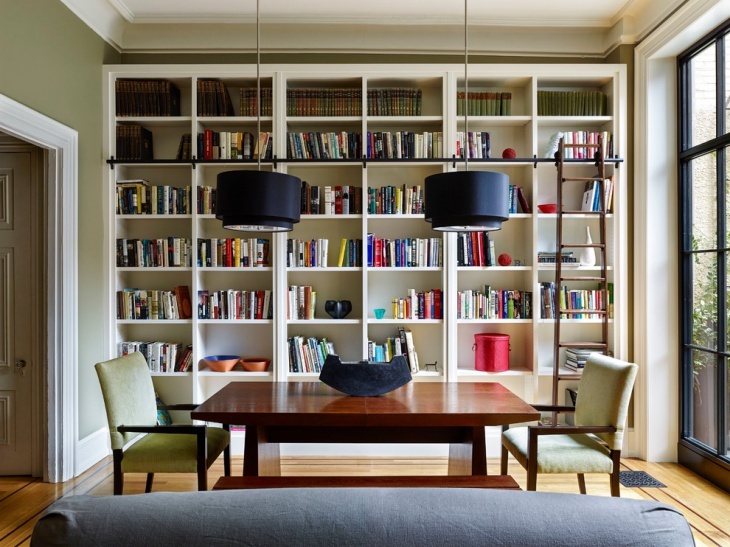 One of the most crucial aspects of designing a functional library is the furniture you bring in. depending upon your study requirement, you can opt for either plush seats that will take you to sleep after a long read or make I comfortable enough to concentrate on your study but will no space to get distracted! 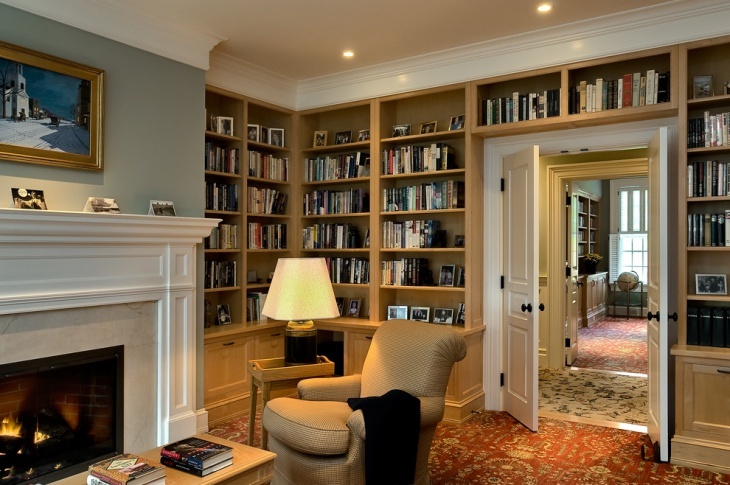 Private home libraries are meant to be small, cozy and a highly functional space. As shown perfectly in this example, you can convert any of your walls into racks and define the rest of the space with comfortable furniture. 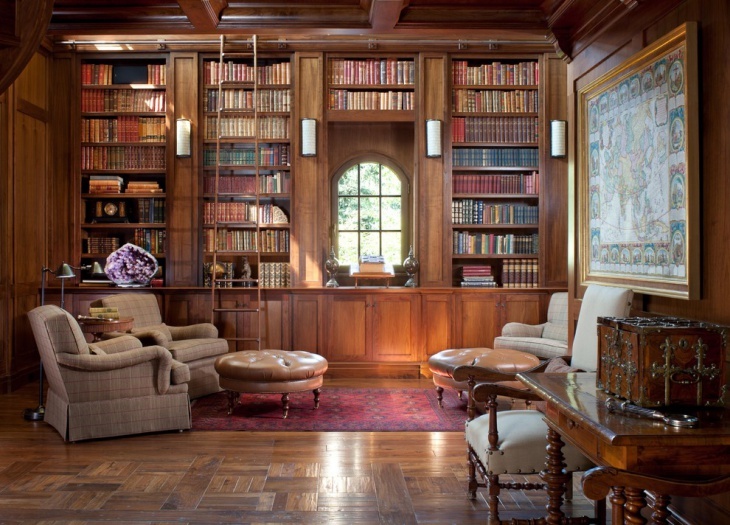 This library would be especially promising for lovers of history and fictional. 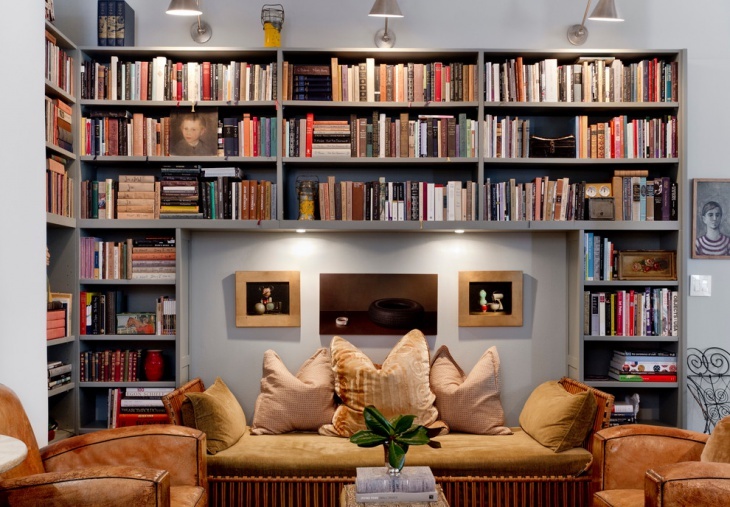 If you are in the habit of reading and collecting novels – both fiction or otherwise; a wooden earthy ambience would be a much-desired add-on. If you are a book enthusiast, rather than a collector, an open air and well-lit design like this would be an incredible setting. It’s not only books that go into the shelf. With a wide open view through the front glass door, you are all set to a wonderful evening. 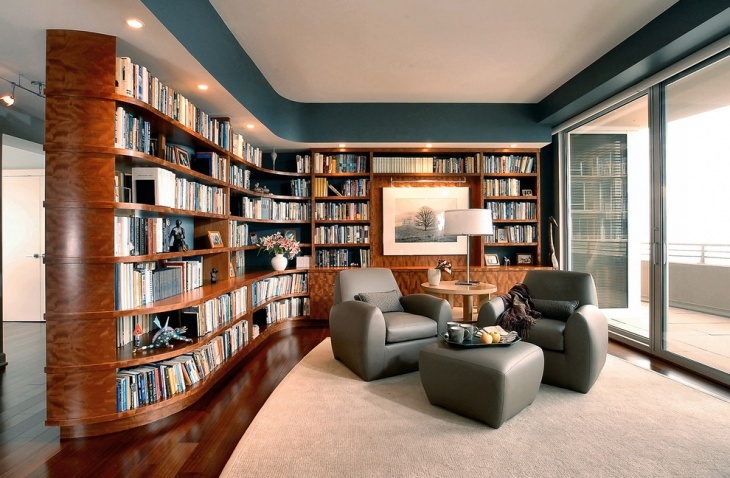 Loved our library interior design ideas? We would also like to take a peek on how you have created your own space in your home. Share it with pictures.